This is the transcript of a brief talk that I prepared for Stoicon in Brisbane on 28 October 2018. What I will be proposing in my brief talk today is that there is a degree of overlap between Stoicism and Mindfulness practice, and that mindfulness practice can be a support for anyone who wishes to live a life based on Stoic principles. It is, of course, possible to prove a similarity between almost any one system of thought and another, by carefully selecting material that supports your argument. So someone with a fuller understanding of Stoicism than I possess may very well want to argue with what I am suggesting here. Then so be it. I don’t claim to be a Stoic scholar, but I do claim to have a fairly thorough understanding of mindfulness practice, after several decades of research, theoretical as well as experiential. Nevertheless, while I am not a scholar on Stoicism, the idea that mindfulness practice has overlaps with Stoicism is not taken out of thin air either. 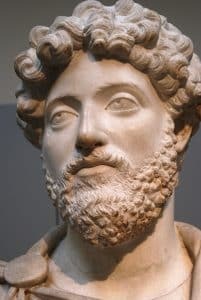 There are many examples in the writings on Stoicism that emphasise the importance of prosoche – continuous, vigilant, unrelenting attentiveness to oneself – as fundamental to the practice of Stoicism as a way of life. In several places in “Meditations” Marcus Aurelius reminds us to focus our attention on present experience, to live in the present. The wisdom of the ancient Stoics is undeniable, and reading their works can be incredibly inspiring and beneficial. And yet, with Stoicism as with any other philosophy of life, theory is not enough – to reap the full benefits, the philosophy must be lived. So, you may think, “I shall live in awareness of the present moment.” But if you have ever tried to do so, you are surely aware also of how short a time you are able to stay in the present. Within a few moments, some thought has dragged you off to somewhere else and/or sometime else; you have left the reality of your present experience and become engrossed in a fantasy – as all thoughts are exactly that, fantasy, imagination. Staying with the actual experience of the present moment is something that we – some time between being a newborn and now – have unlearned, and which therefore needs to be learned again. And this is where mindfulness practice comes in, as it is a practice in remaining in – or over and over returning to – the present reality. Enough theory. Let me invite you instead to spend a few moments practising. This is a simple version of mindfulness practice. Use it as you please. And also consider applying the same degree of attention to other experiences. You may for example practise being fully aware of every aspect of your experience, the next time you eat, say, a few grapes. Not only chomp them up and swallow, but actually being fully attentive to the sounds of chewing, the flow of saliva, the movement of the tongue, the different flavours on different parts of the tongue, the automatic swallowing action when something reaches the back of your tongue, etc. Or you can practise being mindful of your complete experience when you are walking down the street; sights, sounds, smells, the wind on your face etc. I can assure you, that even if you have walked down that same street many times before, you will discover something that you have missed up until then. Being fully attentive in the present, every experience becomes fuller, richer. You get to experience your life, rather than rush past it on your way to somewhere else, that you most likely will rush past too. And then one day, your time is up, and you die. Death, is a subject that comes up often in the Stoicism meetings on Sundays, as well as in Stoic literature. And while some people may not feel excited about including thoughts of death in their daily life, it can actually be a really useful source of motivation for living life being true to your highest values and virtues. If you wish to find out more about Mindfulness and how it can benefit you in your particular approach to life, Stoic or otherwise, read more here or contact me for a chat!